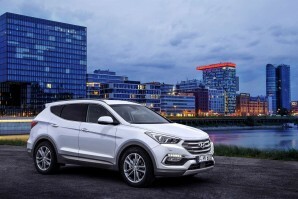 With far sharper styling, some fantastic equipment on offer and a punchy 200PS 2.2-litre diesel engine, the latest Hyundai Santa Fe punches its way upmarket on merit. Customers choose between five and seven seats, manual or auto transmissions and get standard four-wheel drive. It's hard not to be impressed.